Do you like EXO? Are there any fans of f(x)? Yeah, EXO and f(x) are the representative popular Kpop idol groups. Well, however, two members of the groups are caught up in controversy now. Let's talk about the controversy surrounding the two top kpop stars. 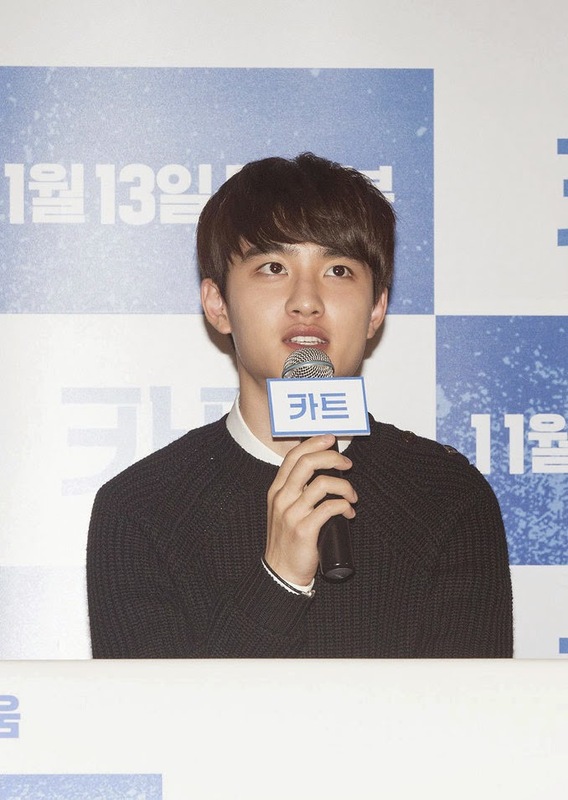 Did EXO Fans Disturb Reporters at the Premier of D.O's Film? Recently, a premier of a film 'Cart' was held in Seoul. D.O has been cast in the film, and of course, the idol star attended the event. However, right before press conference, a furore was caused in the theater. Some personnel for the event asked all the people sitting in the front seats to identify their themselves and asked them to leave the theater if they are not photo journalists. However, some of them were unyielding and didn't bet an eye. Because of this, the event was delayed. At first, many people in the theater thought that they were fans of EXO who wanted to take shots for D.O. So, some of Korean entertainment journalists reported that EXO fans disturbed reporters at the premier of D.O's film. But, it was not true that EXO fans made a disturbance at the event. The people who were sitting in the front seats as if they were real photo journalists were not EXO fans. They were merchandisers who sell Kpop idol stars' photos to make profits. Actually, in Korea, some have a bias against EXO fans. EXO is the most popular Kpop idol group, and people think that fans of EXO are blind with love of the group. Because of this, people sometimes assure that EXO fans must be thoughtless. Of course it's not true, and at the premier, the EXO fans were polite and tried to do something for D.O. In front of the box office, the fans were all smiles and said hello to journalists, saying, "Please take care of D.O." They asked personnel for the event of they can get into the theater, but after taking no for the answer, they just waited outside the gate. In a separate incident, D.O decided not to give a personal interview to journalists even though all the Korean actors who appear on upcoming movies usually meet journalists and talk about themselves. Do you know why D.O does not want to meet journalists? Well, f(x)'s Sulli is in the same situation. f(x)'s Sulli will appear on her film 'Fashion King' to be released on November 6. As I mentioned above, all the Korean actors who appear on upcoming movies usually meet journalists and talk about themselves. When the actors sign up for the movies, they sign contract for their public relations too. But, just like D.O did, Sulli decided not to give a personal interview to journalists. As you know, it has been about 3 months since Sulli stopped her activities as a member of f(x) last July. At that time, SM entertainment announced, "Sulli has been suffered from abusive comments and false rumors, and she is exhausted physically and mentally." And at the same time, Sulli admitted to be in a romantic relationship with Dynamic Duo's Choiza. If Sulli gives a personal interview to journalists, all the journalists would ask her about those, and that kind of thing will be pretty puzzling for her. The situation is same for D.O. EXO's Luhan recently decided to leave the team, and all the journalists would ask D.O about the incident in the interviews. Furthermore, events, great and small, occurred in rapid succession in SM entertainment. Girls' Generation's Jessica left the group, while Super Junior's Sungmin announced he will marry musical actress Kim Sa Eun. Actually, I can say it's not D.O or Sulli but SM who does not want to say something in front of journalists. SM might tell D.O and Sulli not to give a personal interview to journalists. Oh, if there are big fans of Sulli and you are curious about her status, don't be worry. She's doing just fine. She and her boyfriend are hitting it off great.